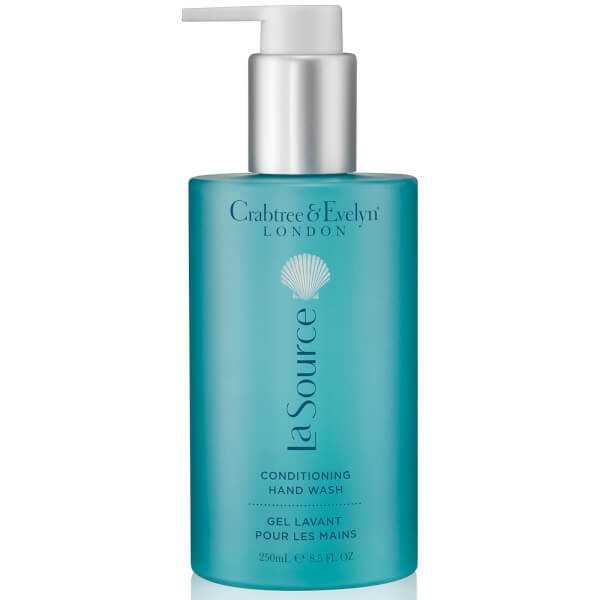 Clarify and refresh hands with the Crabtree & Evelyn La Source Hand Wash; a lightweight, pH balanced formula that utilises naturally-derived surfactants to cleanse skin without stripping moisture. Infused with extracts of Brown Algae and antioxidant-rich Green Seaweed, the luxurious gel gently eliminates impurities whilst softening and conditioning hands to leave them smooth and comfortable. Imparts a crisp, fresh scent of aquatic, musk and sea breeze accords. Water (Aqua)(Eau). Sodium Laureth Sulfate. Peg-7 Glyceryl Cocoate. Decyl Glucoside. Cocamidopropyl Betaine. Polysorbate 80. Sea Salt (Maris Sal)(Sel Marin). Enteromorpha Compressa Extract. Lessonia Nigrescens Extract. Peg-150 Pentaerythrityl Tetrastearate. Fragrance (Parfum). Ppg-26-Buteth-26. Peg-40 Hydrogenated Castor Oil. Peg-6 Caprylic/Capric Glycerides. Polyquaternium-10. Butyl Methoxydibenzoylmethane. Ethylhexyl Methoxycinnamate. Bht. Disodium Edta. Ethylhexyl Salicylate. Butylene Glycol. Glycerin. Sodium Chloride. Citric Acid. Sodium Hydroxide. Benzyl Salicylate. Limonene. Eugenol. Linalool. Magnesium Nitrate. Methylchloroisothiazolinone. Phenoxyethanol. Magnesium Chloride. Sodium Benzoate. Potassium Sorbate. Methylisothiazolinone. Ext. Violet 2 (Ci 60730). Blue 1 (Ci 42090).